May 24 isn’t that far away! April has played the trickster card weather-wise so far. We all woke up to an ice-crushed landscape with trees, shrubs, bushes, lawns and fields, each wearing a crystal coat after a night of frigid early spring rain. All of which tells us that nature is full of surprises. Happily, though, we know that true spring weather is coming soon. MacGregor Point Park will soon be green, the wild flowers will be in bloom and birds will be busy. 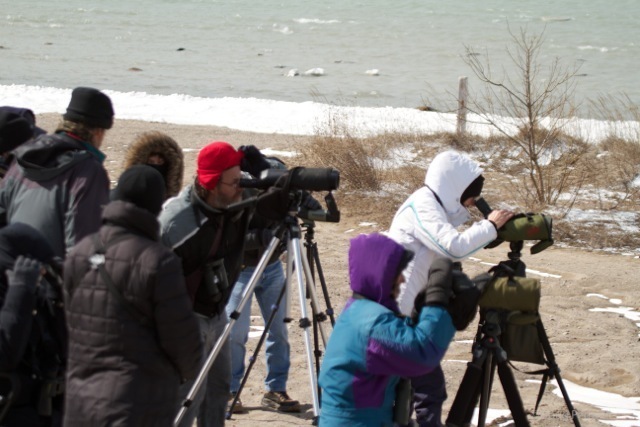 Hopefully you are well-registered with The Huron Fringe Birding Festival to be there and be part of one of North America’s premier Birding Events. Here is a brief list of some of the open activities you might be interested in. Check us out. A7 – Birds do it. 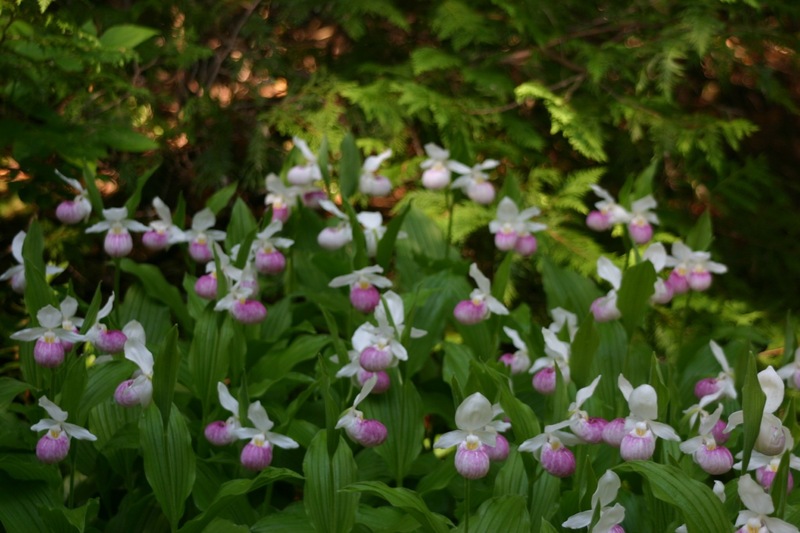 Bees do it…and so do plants – with Richard Aaron. Flowers have different ways of ‘getting the job done.” Discover many of the diverse strategies plants employ to get pollinated. 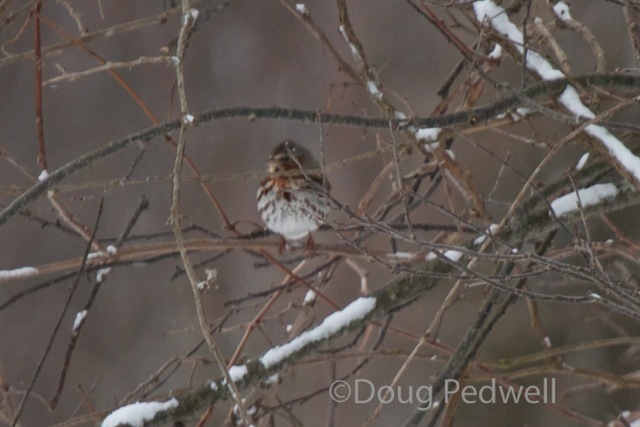 A26 – “Ears On” Birding. The emphasis is on listening to the songs of MacGregor Point Park birds. 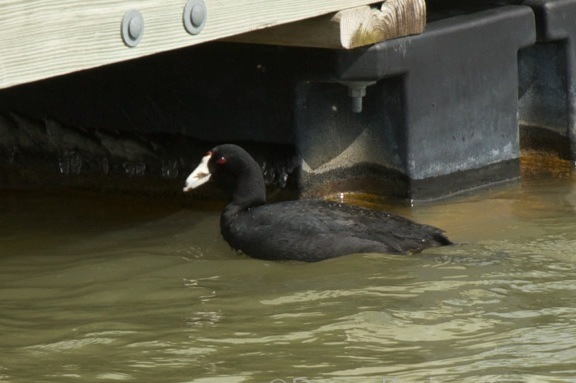 A27 – Photographing Birds – with John Reaume. A discussion of equipment and techniques for bird photography plus visits to the bird blind, the Ducks Unlimited Pond and the nearby lakeshore. B20 – Legends of the Forest – with Heather Carscadden. Stories, legends and myths from around the world about the wonderful world of trees that surround us. B24 – Puzzled By Sedges – with Bill Crins. “Sedges have edges, rushes are round and grasses are hollow right up from the ground”. Sedges are an important species in the forest understory, but their field identification can be shallenging. Bill will tell you how to tell them apart. This is what is only one of nature’s wonderful surprises waiting for you at the Huron Fringe Birding Festival. 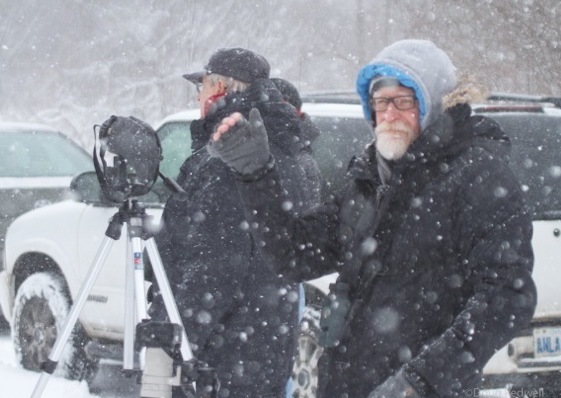 Recently, James Turland led members of The Bruce Birding Club through some trying early spring weather in search of some good looks. 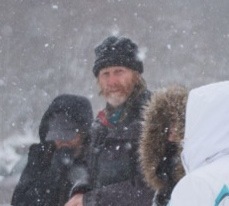 It wasn’t a nice day, but James and Birders like him are a tough lot. Here’s Fred Jazvac’s account of the day. “I would like to thank James Turland for his great effort in today’s bird hike. He led us to some excellent birds. The only flaw in his well-scouted plan was the weather. Arriving in Kincardine in the morning was like entering a different world. 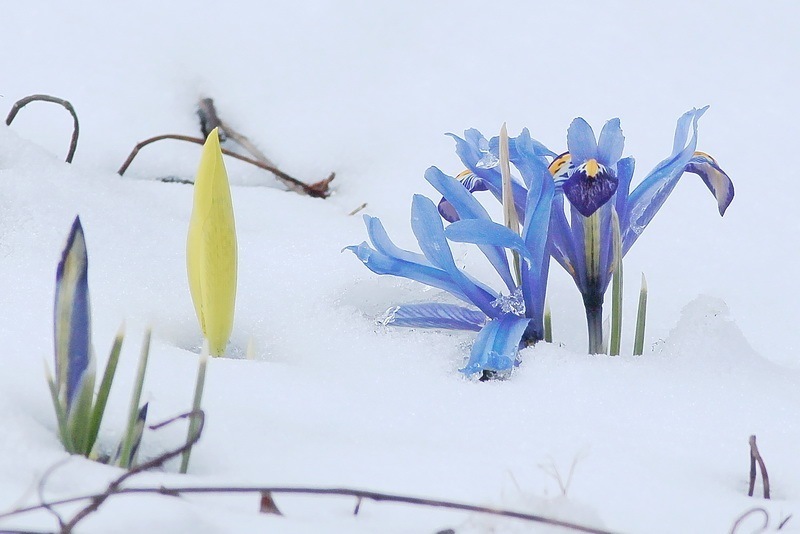 It appeared that winter was still at its peak. • A3 – Birding the MacGregor Boundary. • A14 – The J/I Line – A Grassland Drive. 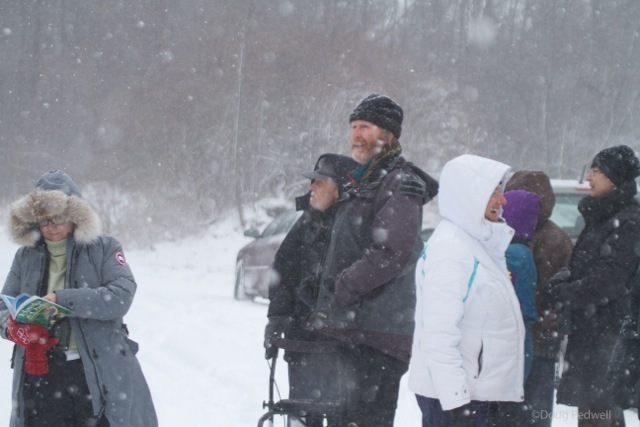 • A35 – Birding MacGregor (Bruce/Saugeen Town line plus Viewing Tower and Bird Blind). • B11 – Birding MacGregor (South end of the Park). 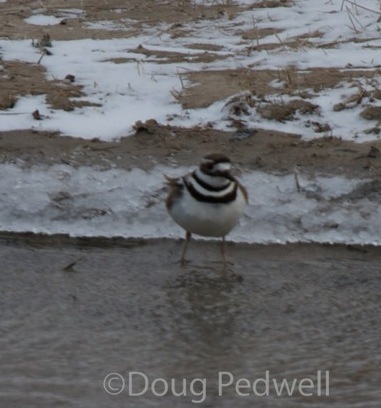 • B31- Birding South Bruce – Kincardine and Point Clark.